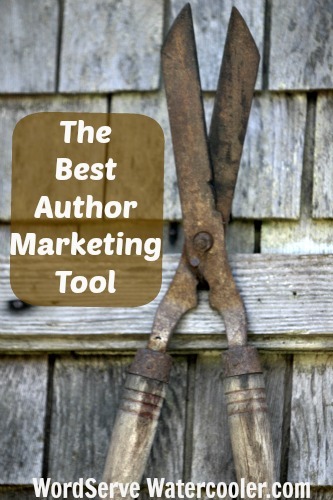 Authors are constantly on the lookout for the best marketing tips and ideas. We want to get our books in the hands of as many readers as possible. This isn’t always just from the monetary end either; most authors I know truly believe in the message of their book. They believe it will help people and have a true desire to enrich the lives of their readers. But sometimes it seems every where we turn, someone’s spouting a new marketing trick. I can’t remember how many posts and articles I’ve read about marketing. Some of the ideas are great, like the Hope and Trust Chronicles put on my by some of my favorite authors. Then there are the not so great ideas, like buying fake Twitter followers. It’s not all about the numbers; it’s about connecting with people. Purchasing fake followers is a misrepresentation in my opinion. The best marketing tool you have is you. The content you write and how you interact with people on your website, your social media sites, and in person is the most influential marketing you will ever do. Because if you do this with sincerity, passion, and genuine caring, your readers will talk about you. Which book are you going to purchase? The one with the prettier cover, or the one your friend is raving about? Invest in your readers. They’re real people and worth your very best. And if you invest in them, don’t just look at them as numbers, they’ll invest in you. And that’s the best marketing tool a writer can have. What are some great marketing efforts you’ve seen? What is the best marketing tool you’ve used? What’s a marketing endeavour you’d never do again? This entry was posted in Marketing and Promotion, Publishing, Social Media and tagged marketing, marketing tools, Melissa K. Norris by Melissa K. Norris. Bookmark the permalink. Buying fake twitter followers, it’s so funny and not at the same time 🙂 I think my best work has just been putting in the time and building relationships. I know it will serve me well when I am published. Thanks for the great advice. Wow, awesome post! And such a powerful example! Interacting positively with readers, making them your trusted friends, is the best way to sell your books. Great stuff! Thanks, Jessica. It really is. I consider my readers friends and have found they enrich my life so much. Some of the conversations I’ve had with them through social media have been wonderful heart moments. I echo what Jessica wrote in her comment. My dear friends are the ones most excited about my latest book coming out in November; they plan to buy multiple copies for gifts–bless them! Thanks for this wonderful post. Judy, I always purchase books for gifts and it sounds like you’ve got some great friends! Melissa—this is perfect! Short, sweet—-and oh so true! Thank for this calming reminder!! Leslie, you’re welcome! I think a cup of calamine tea would go good, too. I’m a new fan and growing my own, so any time I think calming, that’s where I go. Melissa, brava! How awesome that marketing can be as simple as caring about others, the golden rule in action. Very true. As a marketer, I’d learned a lot about internet marketing; how to make tweaks to “trick” search engines to control its results. But I still believe in the old fashioned, tried and tested way of marketing which is great content; either useful or entertaining, spreading your work, and the best of all, word of mouth. If you have knowledge to help people or the talent to entertain, and willing to work hard to spread the information, you’re good to go.